Shared Working Environments - The Next Generation Of Work Is Here! Shared Working Environments – The Next Generation Of Work Is Here! Co-working, involving a shared work environment is a revolutionary style of work, which is increasing in popularity around the world. From New York to London, to right here in Hong-Kong, the next generation of work is here! No longer seen as a fad, but fast becoming the norm, co-working can be viewed as a reflection on how the world of work around us is changing. This innovative and exciting way of working has had the way paved by the rise in the millennial workforce, who are efficient and tech savvy, encouraging a steer away from the status quo of traditional office space! This style of work typically attracts freelancers who wish to step out of isolation and benefit from working in a group environment. Here they can continue to work independently, but share similar values with those around them. However, co-working has been found to not just benefit the modern and trendy business nomads around us. Recent studies show that large organizations are also benefiting from utilizing these spaces too. Who Can Benefit From Co-working? Traditionally, co-working spaces have been a sanctuary for freelancers, start-ups and workers in the creative industries. However, there is no doubt that co-working is the future and now large organisations too, are becoming a part of that. It is becoming the objective for many large businesses to aim to attract and retain staff with an entrepreneurial mindset by offering them the chance to be part of a wider community. People working in large organizations can often feel insignificant within a big corporation. Larger organizations are now looking for ways to reach out to each and every individual employee and provide a new work environment. They want a work environment that fosters an increased sense of importance and employee engagement, while reinstalling a sense of pride in what they do. A recent study in the Harvard Business Review found that working among people doing different jobs might enhance workers’ identity. Such workplaces gave employees “the opportunity to frequently describe what they do, which can make what they do seem more interesting and distinctive”. There is something encouraging about a large organization engaging with the local community. With clear objectives towards the local community and employee value and retention, bigger companies will do well in these next generation workplaces. 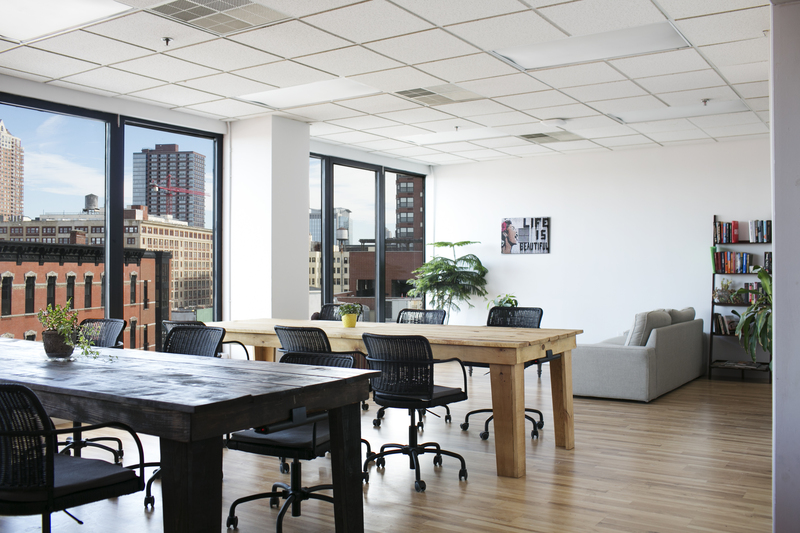 Why Choose Shared Offices Over Traditional Offices? There are many reasons as to why people are opting to use shared offices rather than traditional offices, the most obvious being economic ones. In the context of Hong Kong, space is at a premium and property and rental prices are high. Co-working spaces are therefore an extremely viable option here for people to create the best environment for productivity, creativity and increased performance. These spaces provide flexibility and affordability for both small and large organizations and individuals and are normally accessible 24/7. People can come and go as they please and sit wherever they like. They can work long hours or take breaks to eat out and go to the gym. They can choose to work in a quiet space or in a more collaborative-shared space where interaction and networking is encouraged. From a psychological point of view, co-working has been found to successfully fulfill basic human needs. It provides independence, flexibility and adaptability for people, which can result in better employee performance. It is also linked to higher rates of employee commitment and engagement. Ultimately it provides people with increased autonomy and control over their work environment. It breaks down the monotonous everyday work routine. New relationships can be built with like-minded people and new ideas can be tapped into and shared. The networking potential is invaluable within this vast community! Workplaces are continually evolving with new technologies, flattened hierarchical structures and the introduction of flexible hours, for example. This is leading to new behaviors in the workplace. As the way in which we work continually evolves these co-working office spaces stand out from the traditionally conservative serviced offices. Read more about the evolution of the workplace here, and learn about how to adapt to these changes. To sum up, people are choosing shared office spaces over traditional offices, as most co-working spaces are striking that careful balance between those pivotal needs–in ways that neither freelancing nor the traditional office experience usually provide. Overall, this is leading to happier, more productive workers.